Quentin Tarantino Collection Blura-ray Review. In short the packaging, presentation and attention to detail are all first rate, everything’s in order in terms of extra features and this is the best Tarantino’s films are ever going to look or sound. Few filmmakers have redefined the cinematic landscape as abruptly, potently or irrevocably as Quentin Tarantino. Within one heady three year period back in the early 1990s he wrote and directed two of the most talked about, imitated and influential films of the decade, 1992s Reservoir Dogs and 1994s Pulp Fiction, in addition to penning the Tony Scott directed True Romance (1993) and the Oliver Stone abortion Natural Born Killers (1994), which veered so far from Tarantino’s original script that his name was removed from the screenplay credits. His work tends to divide critics and fans, of course, with some denouncing him as little more than a boldfaced plagiarist and others hailing the director as one of the most influential auteurs of the late 20th century and beyond. At the end of the day, who cares if Tarantino’s films are derivative? There’s nothing remotely cynical about his methods, and his genuine passion for film has resulted in an entire generation being introduced to obscure genres like grindhouse and blaxploitation, not to mention a number of classic films like Wong-Kar Wai’s Chungking Express having only received wider attention in the West thanks to the undying efforts of QT. Roadshow’s new 7-disc Blu-ray collection gathers all of the Tarantino’s previous works into one handsome and surprisingly slender box set, and with his upcoming feature Django Unchained currently in pre-production now is the perfect time to acquaint yourself with the director’s back catalogue. Each of the films is presented in an anamorphically enhanced 2.35:1 1080p widescreen transfer, and each looks utterly impeccable (intentional grain on Death Proof notwithstanding). 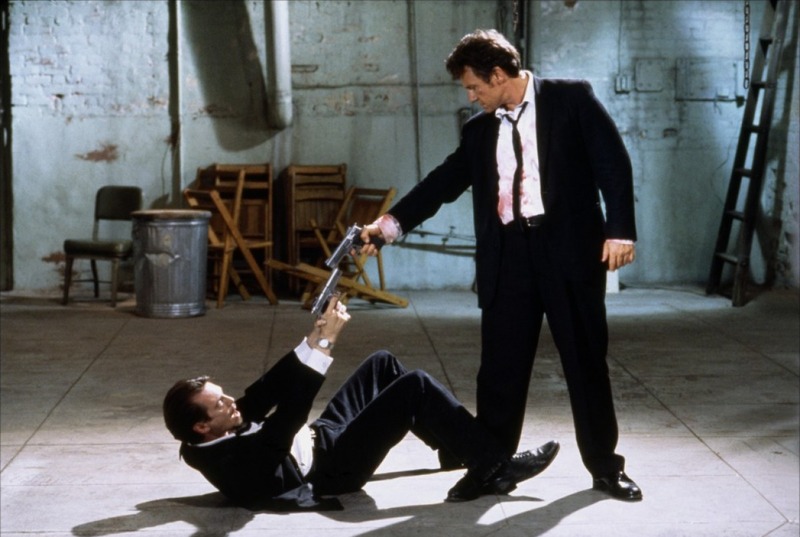 Reservoir Dogs is undoubtedly the title that benefits the most obviously from the HD treatment, and represents a monumental improvement in both sound and picture quality over previous DVD editions. Speaking of audio, each film also features a 5.1 surround soundtrack, either in DTS-HD, TrueHD or PCM, and with one or two minor exceptions all the bonus features contained herein are those to be found on the best of the previous standalone Blu-ray and DVD versions of each film. In short the packaging, presentation and attention to detail are all first rate, everything’s in order in terms of extra features and this is the best Tarantino’s films are ever going to look or sound. Can’t ask for too much more than that.